Eagle County Schools is nestled in the valley along the Eagle River in Colorado. The District spans 45 miles from Vail down to Gypsum and includes 16 schools and 1,000 staff members that serve 7,000 students. In 2016, the district successfully passed a multi-year $143M bond to update facilities, technology and infrastructure. Eagle County hired Fred Voseipka of RLH Engineering to be an Owner’s Representative to shepherd the large project from planning to completion. Voseipka worked closely with Todd Shahan, Chief Technology Officer for Eagle County Schools on the component of the project to improve security infrastructure at the district. Inteconnex responded to the request for proposal (RFP) and was ultimately selected for the security project. Inteconnex installed card access systems for the district replacing the antiquated traditional keys they had before. “People would lose keys and we would have to re-key locks. That is time consuming and expensive. So with card access, we can just turn off a card and re-issue one. That results in cost saving and better security—we have better control over who has access to the building. We can also tailor access by user and remotely control access to buildings,” Shahan said. Inteconnex also helped Eagle County Schools improve the process for admitting visitors to the schools. “In all buildings, we installed sally ports (two doors to go through)—visitors have to be buzzed in. These two-tiered secure entryways were not in the original RFP or plan. Inteconnex suggested them to help us meet security guidelines and improve the security of our buildings,” said Shahan. The key benefit to the security solutions Inteconnex has implemented at Eagle County Schools is improved safety and monitoring via a convenient, centralized interface. “We can control and monitor access to our buildings without putting additional burden on already taxed administration and staff,” said Shahan. Inteconnex was initially selected by Eagle County based on price, presence in Colorado and the ability to provide the high-quality Avigilon products the district required to deliver a superior level of security for its students and facilities. Throughout the course of the project, Inteconnex routinely demonstrated expertise and forethought that established them as a trusted security advisor to Eagle County Schools. Voseipka praised Inteconnex for the team’s professionalism and responsiveness. “They had a tough road to hoe—we selected them late in an already compact schedule where we were trying to accomplish everything over the summer break. Inteconnex was very responsive and organized. I appreciate how they came forward and helped get the job done,” said Voseipka. 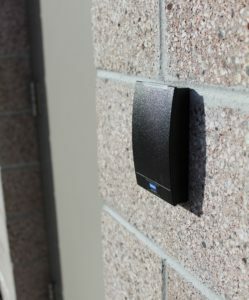 Inteconnex is the leading security innovator for northern Colorado and southern Wyoming. The company, originally founded in the Midwest, expanded into the Rocky Mountain region to design and install comprehensive security environments with customized and fully-networked capability for businesses in the area. The highly trained staff at Inteconnex has roots in information technology, providing customers with unrivaled technical expertise, service and the highest performing systems for today’s increasingly complex and networked world of advanced security.